Companies need to build a supportive, purpose-driven workplace culture says GYK Antler's COO. Twenty years ago, when I was starting out in advertising, working to the point of exhaustion was seen as a badge of honor. Long nights at the office were a sign of dedication and stamina, with staffers competing to put in the most hours and take the least time off so management might see them as the hardest working hire. Of course these days, we know that long hours don’t necessarily equal great work but can often produce just the opposite, especially when creativity is involved. Instead of trying to wring the most work out of employees, smart businesses are trying to build workplaces that foster the best work. To do that, companies need to build a supportive, purpose-driven workplace culture that helps people prevent burnout. And while it’s largely up to leadership to build the framework for this kind of environment, it can only succeed when everyone on the team does their part to maintain it. Here are some tips for leaders and staffers alike on how to create a burnout-free workplace. Put people in their (best) place. There are few things that make people more unhappy and stressed than feeling like they’re in a job that isn’t allowing them to realize their full potential. Managers can combat this by making sure they find out what each individual is all about, both inside and outside the office. What are their goals, hobbies, passions? What makes them happy? From there, let them show off their skills and interests on projects both inside and outside their job descriptions. Sending the message that there’s room to grow and move up (or around) in a company is a sure way to keep things interesting, and keep people doing their best work. Lead the charge against burnout. People look to company leadership to set the tone for what’s normal and acceptable when it comes to workload and life balance. If you don’t want other people pulling crazy hours and being stressed out about it, don’t do it yourself. Let them see you taking your vacation time or taking an hour out of the day for a doctor’s visit, and be clear that they’re expected to do the same. Take a mental health day, and don’t be shy about discussing it. By showing that it’s possible to find balance in your life and still produce great work, you’ll inspire your team to do the same. Make sure employees are grounded in the company culture. The fastest way to burnout is to feel like you’re working for a paycheck, not for a purpose. Before they touch any client work, new employees need to be introduced to the values and culture of the company. As part of new employee intake, spend a few days answering questions like: What are the company’s long and short-term growth goals? Who can they go to for advice or mentoring? What social causes does the company support? How do they personally fit into the company’s ecosystem? With that context in mind, everyone can be on the same page, working towards the same purpose. Help support a culture that doesn’t lionize being overworked. We all know that person who always seems to return emails in the dead of the night, or humble brags about being in the office on a Sunday. And sure, we should all be free to manage our time and workload in our own way, but this sort of burnout driving behavior doesn’t need to be treated like it’s something to aspire to. It takes every team member to set the tone for what’s acceptable in the workplace. Take a step back and give props to the person who works smart and gets it done during working hours, and then takes off to see their kids orchestra recital (or go to their own band practice). Be honest about your workload. No one wins when you say yes to every request, only to get overloaded and unable to deliver the best quality work. It’s okay to say no when you’re truly at capacity. When said the right way, it’s clear that your top priority is ensuring the work is done right and not just checked off your list. A good manager will respect an employee who knows their limits and is responsible enough not to bite off more than they can chew. Let your talents and your goals be known. It’s natural for people to advance and change in their skills and goals. And staying in the same place too long after you’ve grown into something else can lead to very real burnout. Be your own best advocate by letting your managers know what you’ve learned both inside and outside the office, and how you can bring it to the business in an effective way. There may not be an opportunity right then and there for advancement or change, but by keeping an open dialogue, you can work together to develop a plan that everyone feels good about. Figuring out what’s best for you and your agency is a matter of trial-and-error, but ultimately the goal is to foster a healthy workplace for employees at all levels. Reemphasize company values, and make sure honesty and communication are at the forefront—whether it’s about your workload, mental health or happiness. Inevitably, a commitment to culture breeds creativity, innovation and retention. 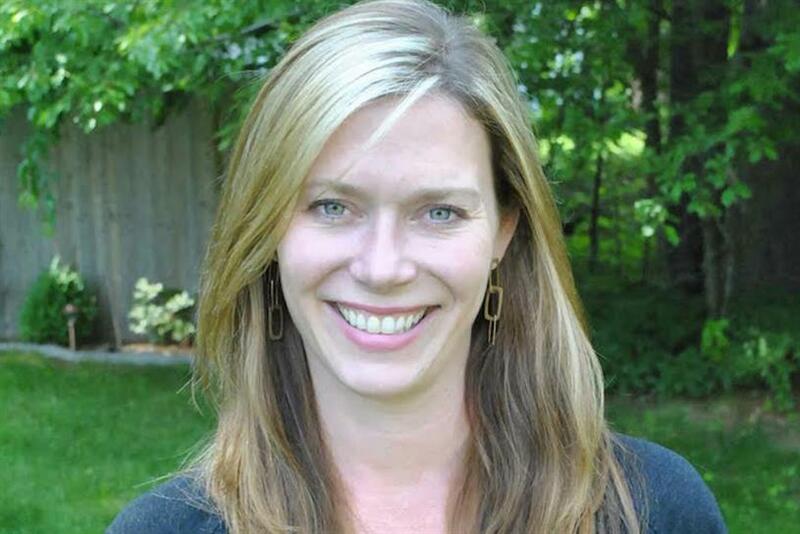 Jen Jonsson is chief operating officer of New Hampshire-based independent agency GYK Antler. Planning is dead. Long live brand planning. Is it possible to work in advertising and still have a life? Is the agency model too old for the catwalk?